By Scott Gilfoid: Former WBC super middleweight champion Carl Froch could be the next meal for #1 World Boxing Council ranked contender Anthony Dirrell (24-0, 21 KO’s), as the talented brother of Andre Dirrell is reporting that WBA/WBC super middleweight champion Andre Ward is on the verge of vacating his WBC title. What this means is that Froch, #2 WBC, and Anthony Dirrell, 27, could find themselves in the ring very, very soon unless Froch is picked off first by IBF super middleweight champion Lucian Bute and handed yet another loss. A defeat to Bute will knock Froch down a few rungs in the WBC ranking, out of the way of the blazing fast and powerful Anthony Dirrell. First of all, Anthony isn’t technically Andre’s little brother. They’re both the same height and weight, so he’s not little in comparison. But he is younger by a year, but hardly little. Secondly, Hearn will never let Froch set foot in the ring against Anthony Dirrell; that’s never gonna happen in a million years. Anthony has too much power, too much hand speed, too much accuracy and too much talent. Froch would get schooled even worse that he did in his loss to Ward last December. 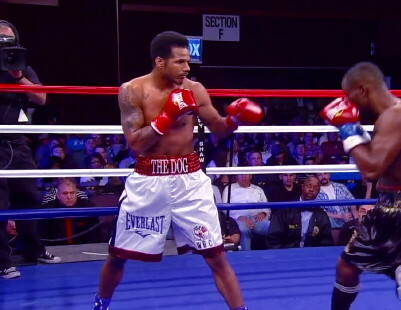 I can see Anthony Dirrell knocking Froch out cold. But this is neither here nor there, because Froch will probably take the fight with Bute next, take a one-sided loss, and get smacked down in the WBC rankings, putting him well out of danger of a fight against Anthony Dirrell for the vacant WBC title. Anthony will likely face Noe Gonzalez or Edwin Rodriguez for Froch’s old title, and he’ll beat either of those guys with no problems. Anthony can avenge the loss of Andre to Froch in 2009 when he was beaten by a controversial 12 round split decision in Nottingham, England, Froch’s home city.